Political tide in Mathare constituency in Nairobi has reached its peak as the D-day draws nearer. Aspirants for the seat have been laying strategies to clinch coveted bench in the looming by-election. In TNA, Senator Mike Sonko Mbuvi is working with Starehe MP Maina Kamanda to reclaim the seat which was held by ousted MP George Wanjohi, a former civic leader at the defunct Nairobi City Council. Sources within TNA say that majority of MCAs allied to TNA have openly expressed reservation and are against Sonko being in the campaign team. They claim in 2013, Sonko was given money to facilitate campaigns for presidential, senator, governorship and ward representatives but allegedly pocketed the money with the aspirants and receiving nothing. The only person said to have benefited was Nairobi women representative Rachael Shebesh. However, claims that Shebesh received just a tip are the talk in TNA circles. In fact, sources say the bad blood between Sonko and Shebesh has to do with the amount which ran into millions of shillings. TNA MPs in city politics were also sidelined by Sonko and had to use their own resources to coordinate and oil their campaigns. It is on these grounds that TNA forces involved in Mathare are more comfortable with Kamanda than Sonko. At one time, claims were that the city senator should not be involved but Kamanda had to step in and argue that Sonko was needed to win the youthful vote in Mathare. Those with Kamanda are George Theuri (Embakasi East), Mwangi Gakuya (Embakasi North), Ben Mutura (Makadara) and TNA officials Francis Mwangi. Former Kamukunji MP Simon Mbugua has been missing in the campaign trail with word that he has been out of the country on business trips. Sources say Kamanda is relying on Francis Mwangi, the TNA official to deliver the Kiamaiko vote. It is imperative to note that TNA has only two MCAs in Mathare constituency. They are Andrew Macharia (Mlango Kubwa) and James Kinuthia (Kiamaiko). For Cord, ODM allied candidate Stephen Kariuki is the person to watch. 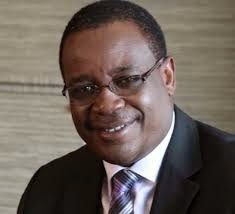 ODM side has governor Evans Kidero being in charge. The party election strategies are being held at EK Centre. Notable faces at EK Centre or at times in Nairobi hotels include Tom Kajwang (Ruaraka), Irshad Sumra (Embakasi South), Omondi Ogutu (Embakasi East), Ken Okoth (Kibra), deputy governor Jonathan. Mueke and Nairobi county majority, leader Elias Otieno. George Aladwa former city mayor and Reuben Ndolo former Makadara MP have been involved. Of late, Aladwa is full of praise for Kidero after he landed a plum slot of liquor licencing at Nairobi county. Aladwa was a notable absentee at the Saba Saba Rally. 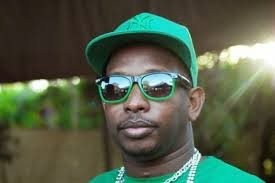 Kariuki or K as he is popularly known also enjoys the backing of his mother Bishop Margaret Wanjiru. She has a network in the constituency after defeating Kamanda for the seat in 2007 and then a by-election that followed. She did not go for the seat 2013 preferring to run for women representative. 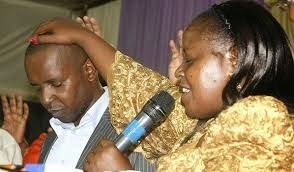 Bishop Wanjiru initially wanted to be the city governor. Reports reveal indicate that Kidero knows what is at stake in the by-election and if ODM wins the slot, it will be a plus in the eyes of Cord supporters both in county and national politics. Using his chief of staff officer George Wainaina Kidero has a strategy to divide the Kikuyu vote in favour of the two leading candidates from the Kikuyu community as he works on the Luhya, Kamba and Luo vote to be is ODM political basket. Other reports say Sumra who is another key player with blessings of Raila and Kidero have managed to reach out to those in TNA against Wanjohi to back Kariuki. TNA strategists and key players in President Uhuru Kenyatta’s kitchen cabinet are sharply divided over the strategy to adopt with one side pushing for Wanjohi’s re-election and another side vouching for discreet support for ODM’s Kariuki. 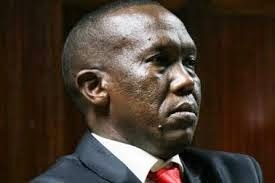 In a strange turn of events, highly influential courtiers in the president’s kitchen cabinet from Gatundu are almost overrunning the group of mainly Nairobi TNA power brokers led by Starehe MP Kamanda and Senator Sonko who are strongly supporting the re-election of Wanjohi, the Jubilee candidate. The Gatundu group sees Kariuki as their own son since his late father James Kamangu hailed originally from Gatundu South where the president also comes from and served for two terms as MP while his mother was born and brought up at Kiganjo in neighbouring Gatundu North. It is instructive that the two Gatundus were once one constituency whose first member of parliament was Uhuru’s father and first president of independent Kenya, the late Mzee Jomo Kenyatta which further illustrates how a Kiambu vote is heading towards the ODM candidate. The Gatundu group is led by among others:- Kiambu Women representative, Anne Nyokabi and Governor William Kabogo. The other conspicuous supporters of this strategy are TNA legislators Shebesh and Kimani Ngunjiri (Bahati) plus former Raila ally turned foe, Ngunjiri Wambugu. The group believes that Kariuki is their own and can work with them. 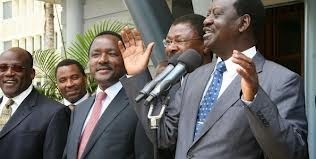 They draw parallels with other Cord legislators who have readily ditched Raila and their other Cord co-principals and are now supporting the Uhuruto government. They include Abdulswamad Nassir (Mvita), Richard Onyonka (Kitutu Chache), Khatib Mwashetani (Kwale), Manson Nyamweya (South Mugirango), John Arama (Nakuru East), governors John Nyagarama (Nyamira) and Kidero. They are also happy with Kariuki’s mother, Wanjiru for her refusal to co-operate with Cord leaders in their anti-government agitation that kicked off one month ago with calls for national dialogue before recently deciding to force a national referendum. The Jesus is Alive Ministries bishop has been conspicuously missing from all Cord rallies including the two major ones at Uhuru Park when Raila Odinga returned from the United States and the Saba Saba rally. The group has been holding secret meetings with Kariuki in Karen and Runda with occasional sessions attended by ODM rebel elected leaders among them: Onyonka, Alfred Mutua (Machakos) and James Arama to drill the young man on how to play clever tricks to win on August 7. With the division within the Kikuyu vote bloc, Kamanda and his men are back to the drawing board. The race for the Mathare by-election was finally opened on Friday, July 11 2014 when the IEBC fulfilled its statutory duty of reviewing all the aspirants and clearing eight candidates to run for the seat. The by-election was occasioned by the Supreme Court’s upholding of the High Court’s ruling that the last elections were ‘irredeemably flawed’ and hence a by-election was the only recourse to ensure the people of Mathare get the representative they deserved. The outgoing MP Wanjohi had served close for a year in parliament amid complaints of diversion and embezzlement of the CDF funds, favouritism and entrenched tribalism, CDF bursaries being traded and dished out to nondeserving cases as rewards for sexual favours, and particularly with the issue of the location of the Mathare CDF offices in another constituency. And with the court’s decision, a stroke of luck was opened, for the residents of one of Africa’s poorest and marginalised slums to elect a leader who will effectively represent the issues in the area. Of the eight candidates cleared by the IEBC, a number stand a realistic chance of clinching the seat. The disqualification of the former Youth Enterprise chair Gor Selemango has worked in favour of certain candidates. 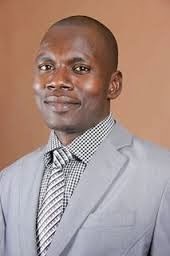 One particular scenario is the entry into the race by a former University of Nairobi student leader and leader of the Kenya Young Voters Alliance Fwamba Fwamba who is targeting the Luhya vote. Mandeleo Party is associated with a former civic leader in Kakamega Amisi Omukanda whose symbol is scissors. Omukanda said his party was not associated to Federal Party of Kenya whose party leader is Cyrus Jirongo but would for the sake of Luhya unity enter into negotiations to foster a common front. MDP intends to carry out a countrywide recruitment drive to popularise the party that won accolades from the Registrar of Political Parties and Centre for Multi-Party Democracy for coming top with a clear strategic plan for 2014-1018 out of 60 political parties in the country. The party has one MP in parliament, Malava’s Moses Malulu Injendi and is headed by Omukanda.